Why Muslims Don't say "Bharat Mata ki jai!" In India. Many Muslim organizations issued fatwas that saying bharat mata ki jai is unislamic. Some of the leading Islamic seminary of the Indian subcontinent said, “After the ‘Vande Mataram’ controversy, now people are being forced to chant ‘Bharat Mata ki jai’. Actually, some of the believers in Hindu faith consider India a goddess whom they worship. They treat the goddess ‘Bharat Mata’ the patron god and caretaker of the country. This belief certainly goes against the very idea of ‘Tauheed’ which forms the core of belief in Islam. The followers of Islam can not compromise with the idea of ‘Tauheed’.” Also chanting the slogan amounted to “worshipping” the goddess “bharat mata”. Below I have tried to give good explanations by various Hindu Scholars who are taking about the issue and shedding light on the subject. “Mazhab nahin sikhata apas mein bair rakhna,Hindi hain hum, watan hain Hindustan hamara”. (Religion does not teach us to bear ill-will towards each other, we belong to Hind, our homeland is Hindustan). Dewan: This title was given by Emperor Akbar to an authorised & carefully selected person whom was assigned to look after the Administration side of Ajmer Sharif Dargah. Dewan was thus managing the day to day function & services at the Dargah Sharif . 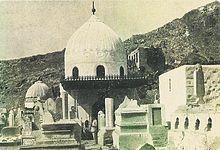 It was important to assign someone in this position in-order to ensure the smooth running of the dargah, under an authoritative figure Since Khwaja Sahib’s (R.A) Family Lineage had stopped at their Grandson (Hzrt Khwaja Hisamuddin [R.A] Their dargah is in Sanbar Sharif Rajasthan…India!). The last known Genuine Dewan, Sajjada Nashin Dewan of Ajmer Dargah was originally “Syed Alley Rasool Ali Khan” who migrated to Pakistan in September, 1947. It is believed they lived in Haveli Dewan Sahib, inside Karim Pura, near chowk Shaadi Pir in Peshawar Pakistan. They were very well respected and stayed there for many years. Some elders had met Dewan sahib in 1970s. The Haveli was demolished in nearly 1999 and it was the size of a small football ground. In 1948 Ilmuddin father of Zainul Abedin (Current Dewan) then claimed to be distance related to the previous Dewan [Syed ally Rasool Alik Khan] & thus arose on account of the fact that since he was related to the previous Dewan, he should replace in the status of Dewan of Dargah. Supreme Court of India ruled in his favour although, there was harsh protest from the Dargah Community who had seen him unfit, unworthy of the post since merely claiming a distant relation does not suffice a post or credentials. Ilmuddin died on October 23. After a few court wrangles, his son Zainul Abedin was appointed to the position of Dewan of Ajmer Sharif. The Dargah committee still had to comply with this ruling although many doubts were created by this family for example Where they even genuine Syed at all??? The doubt on the Dewan family still exists to this day. Nearly all in the Khadim Community know that this family are not genuine Sajjada Nashin. This family claims they are also descendants of Khwaja Moinuddin Chishty (R.A) when in fact, Hazrat khwaja Moinuddin Chishty’s family linage stopped at his Grandson Hazrat Khwaja Hisamuddin (R.A). Therefore Khwaja Moinuddin Chishty (R.A) them self While in this world bestowed their linage responsibility to Hzrt Syed Fakhruddin Gurdezi (R.A) (Administrator of Dargah) . khwaja sahib told Syed Fakhruddin Gurdezi that from my departure you and your offspring are my Linage and responsible for the Dargah. Therefore nowadays the Khadim Community (Off spring of Syed Fakhruddin Gurdezi ) are Descendants for Khwaja Moinuddin Chishty (R.A) as bestowed by khwaja shaib himself in person.They as Khadim community, attend to the functions and administration of the Dargah. Shab-e-Barat is on 15th Shaban 1438H (Night).